Use <Escape>, to leave fullscreen. The three-layered atom chip with its gold wires measures approximately three by three centimetres. Credit: MAIUS project team/J. Matthias. 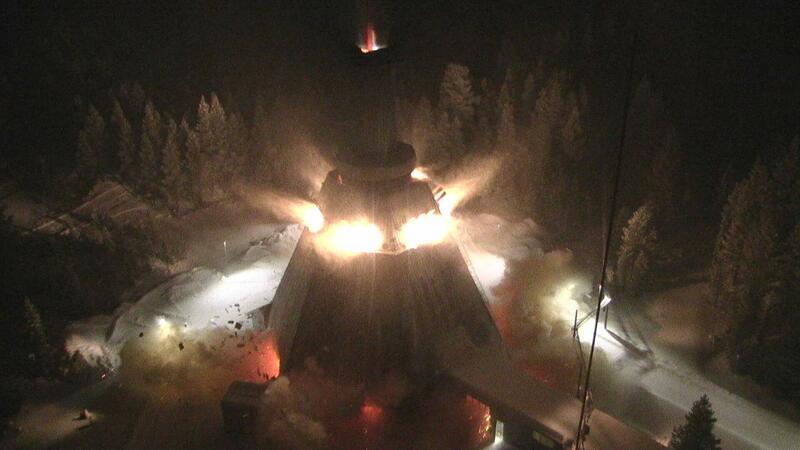 MAIUS 1 was launched at 03:30 Central European Time (CET) on 23 January 2016 on board a sounding rocket from the Esrange Space Center near Kiruna in northern Sweden. The MAIUS 1 payload is assembled in the balloon hall at Esrange. Vehicle and payload of the DLR sounding rocket MAIUS 1 in launch configuration. 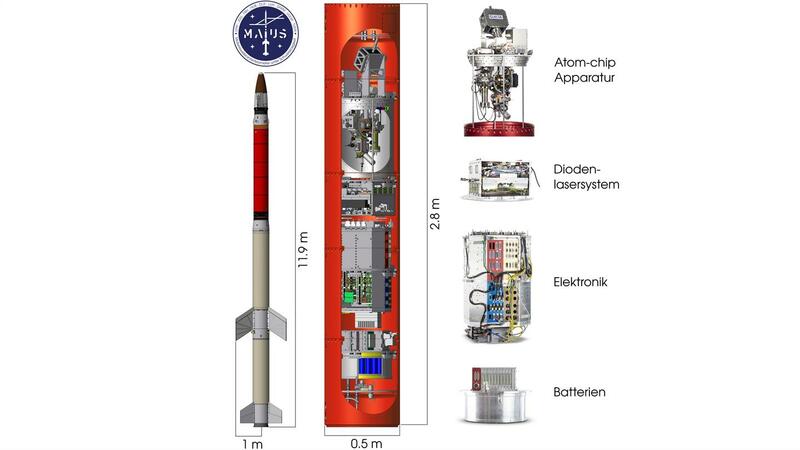 MAIUS is the most complex experiment ever flown on a sounding rocket. The MAIUS 1 experiment was launched on 23 January 2017 at 3:30 CET on board a sounding rocket from Esrange Space Center near Kiruna in northern Sweden. German scientists have, for the first time, succeeded in producing a Bose-Einstein condensate in space and using it for interferometry experiments. NASA is interested in the German know-how for its Cold Atom Laboratory (CAL), a device for the investigation of ultrasound quantum gases. 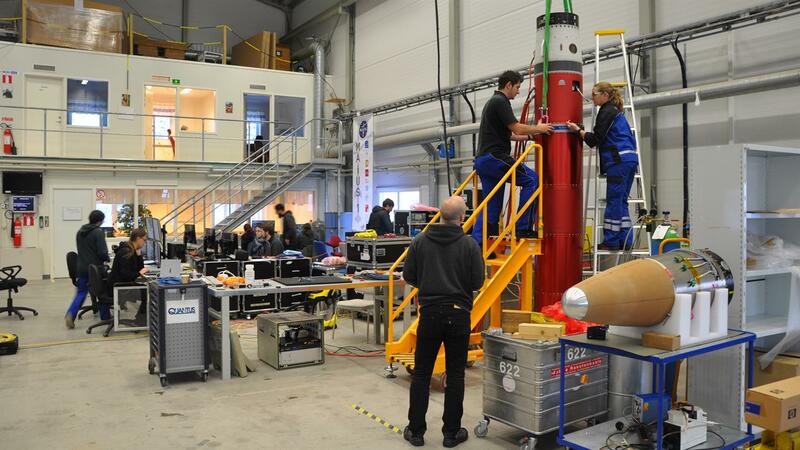 The MAIUS 1 (Matter-Wave Interferometry in Microgravity) experiment could be described as one of the most complex experiment ever flown on a sounding rocket. MAIUS 1 was launched at 03:30 Central European Time (CET) on 23 January 2016 on board a sounding rocket from the Esrange Space Center near Kiruna in northern Sweden. During the approximately six-minute microgravity phase of the flight, German scientists succeeded in producing a Bose-Einstein condensate (BEC) in space for the first time and performing atom interferometry experiments with them. "Bose-Einstein condensates are produced when a gas is cooled down to close to absolute zero," explains Rainer Forke from the Space Administration at the German Aerospace Center (Deutsches Zentrum für Luft- und Raumfahrt; DLR). "We are delighted to be able to demonstrate that the MAIUS 1 system works perfectly in space. During the microgravity phase, around 100 individual experiments were carried out on different aspects of matter-wave interferometry." Scientists from 11 German research facilities have, over a few years, miniaturised the technology for the production of Bose-Einstein condensates in order for the experimental set-up to fit into the payload module of a sounding rocket around two and a half metres high and 50 centimetres in diameter. "Normally, such a device fills a whole laboratory room," says Stephan Seidel, scientific leader of MAIUS 1 from the University of Hannover. "Designing a system so compact and robust that it can fly on a sounding rocket has been a major challenge for scientists and engineers." To produce a Bose-Einstein condensate, a cloud of atoms – in this case the researchers used rubidium atoms – must be cooled down to almost minus 273 degrees Celsius. Conventional cooling methods are not sufficient for this purpose. In a two-phase process, the movement of the atoms is therefore first decelerated using lasers – because the faster an atom moves, the higher its temperature. Tiny lasers are installed in the MAIUS device, whose beams slow down the rubidium atoms. The particles are then loaded into an atomic trap from which they cannot escape. This trap is created by means of an atom chip on which magnetic fields are generated. The magnetic containment can be thought of as the 'walls' of the trap. After laser cooling, the second phase of the temperature reduction begins in the magnetic trap. During this, the magnetic field is reduced, so that the height of the 'walls' is reduced. Consequently, only the coldest and hence most motionless particles remain in the trap, while the more mobile atoms can surmount the lower barrier. The ultra-cold atoms produced in this way are used in MAIUS for matter-wave interferometry. "The stimulus for extending interferometry with matter waves for as long as possible also has an important application aspect," says Ernst Rasel, project manager at the University of Hanover. "The sensitivity of an atom interferometer namely scales quadratically with the free evolution time of BECs in such a measuring device, so it is not surprising that long-term satellite missions are also under consideration. The use of quantum sensors in satellites for more precise geodesy and navigation is also being discussed." "We are very interested in German expertise for our Cold Atom Laboratory (CAL), a facility for the study of ultracold quantum gases," says Mark Lee from the US space agency NASA. "CAL is scheduled for launch to the International Space Station (ISS) in June 2017." 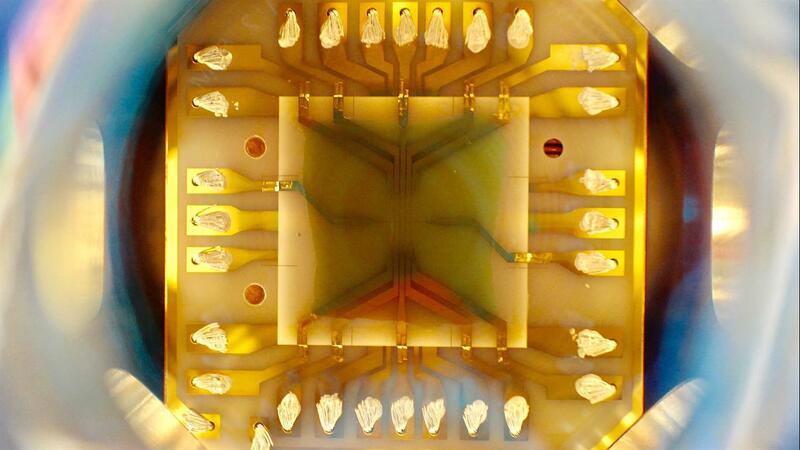 In 2007, as part of QUANTUS (Quantum Gases in Microgravity) – the predecessor project of MAIUS 1 – scientists succeeded in producing a Bose-Einstein condensate in microgravity for the first time. To this end, the QUANTUS system was integrated into a capsule, which was used to carry out drop-tower experiments at the Center for Applied Space Technology and Microgravity (Zentrum für angewandte Raumfahrttechnologie und Mikrogravitation; ZARM) in Bremen. The world-renowned research with QUANTUS has been an important pioneer for the MAIUS project and remains an important research platform for the preparation of further missions. The successful launch of MAIUS 1 has demonstrated that the technology works perfectly under space conditions. Two further missions – MAIUS 2 and 3 – will follow in 2018 and 2019. On MAIUS 2, in addition to ultra-pure rubidium atoms, ultra-cold potassium atoms will be used on a sounding rocket for the first time. With MAIUS 3, the falling velocity of Bose-Einstein condensates from both atomic species is to be compared via interferometry. This is intended to test the equivalence principle, which lies at the heart of Einstein’s General Theory of Relativity. If this principle were to be refuted, the Theory of Relativity would no longer be valid without restrictions. But these experiments too are just another step on the way to a long-term mission in space. The aim is to be able to use the technology on satellites or the ISS. This is because the experiments could be carried out for weeks or even months in microgravity, while in the drop tower this is only possible for about nine seconds and, during a rocket flight, for about six minutes. Similar to light rays, the wave properties of matter can be visualised using interferometry and used for high-sensitivity measurements. MAIUS has succeeded in successfully using matter-wave interferometry with Bose-Einstein condensates for the first time in space. Carrying out the experiments under microgravity conditions enables these special quantum states to be maintained for seconds. The MAIUS 1 project is under the scientific supervision of the Leibniz University of Hannover in collaboration with the Humboldt University and the Ferdinand Braun Institute in Berlin, ZARM of the University of Bremen, the Johannes Gutenberg University of Mainz, the University of Hamburg, the University of Ulm and the Technical University of Darmstadt. The DLR Institute of Space Systems in Bremen, the DLR 'Simulation and Software Technology' facility in Braunschweig and the DLR Mobile Rocket Base (MORABA), which also carries out the launch campaign, are also part of the research group. The project is coordinated and supported by the DLR Space Administration with funding from the German Federal Ministry of Economics and Technology (Bundesministeriums für Wirtschaft und Energie; BMWi).